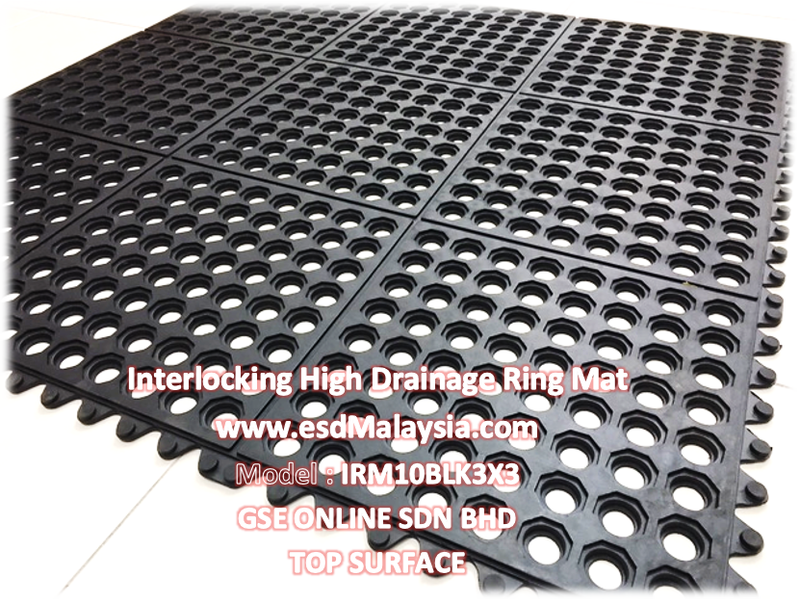 ​Ideal for wet areas , production or maintenance floor , kitchen , toilet , restaurant and areas require high water drainage or slippery resistant . 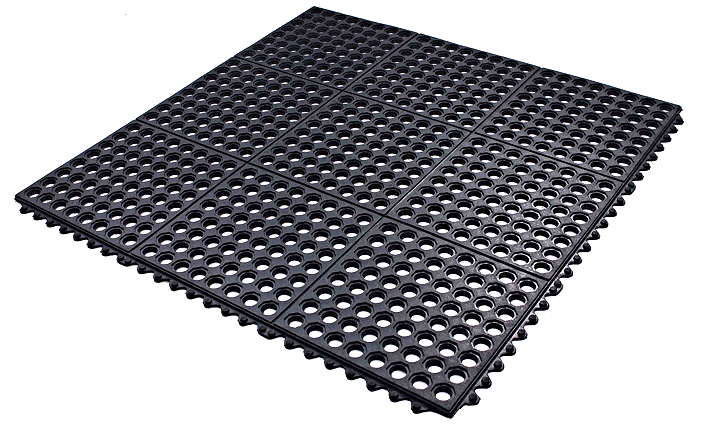 1) Medium soft & cushioned rubber adds comfort to users ( provides fatigue relief ) , helping to increase productivity . 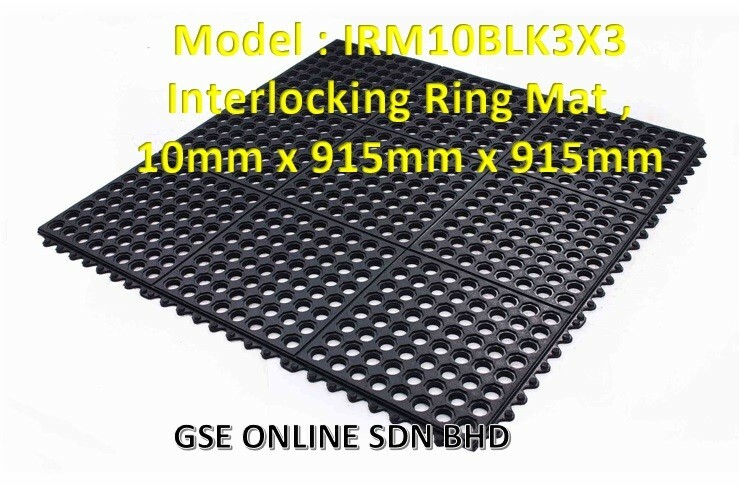 2) Low-profile interlocking ring mat is ideal for food carts . 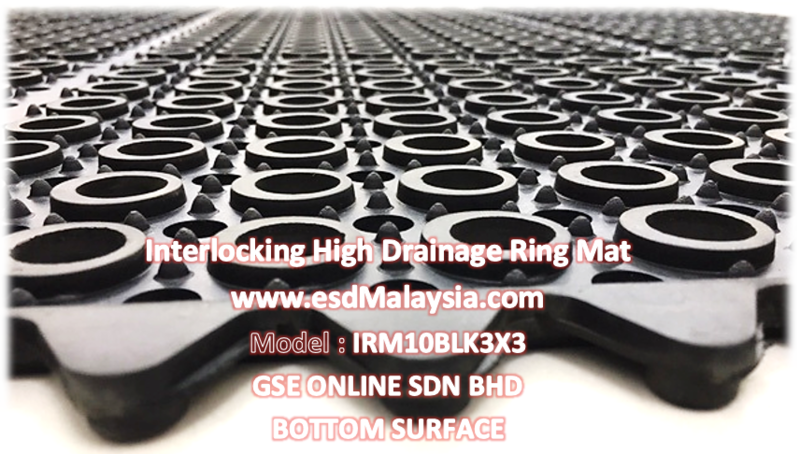 Well engineered high drainage cylindrical holes increase traction , prevent residue , laboring germs and bacteria. 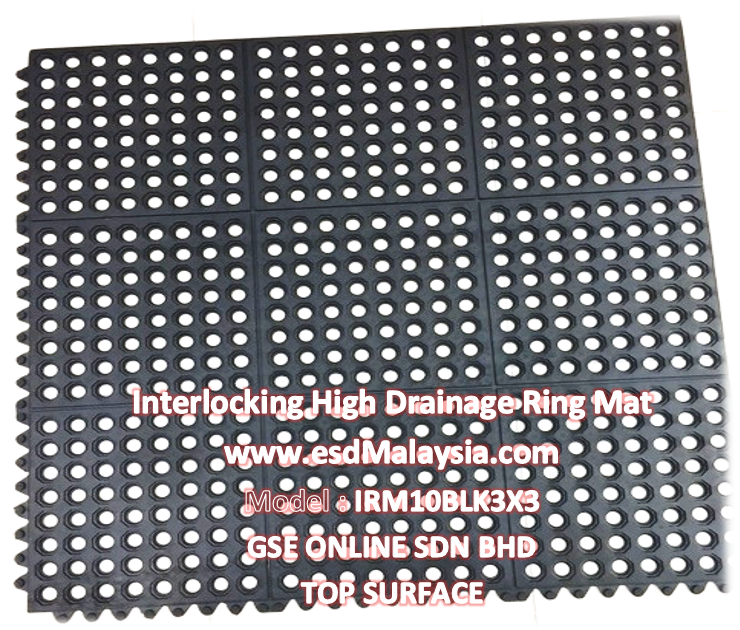 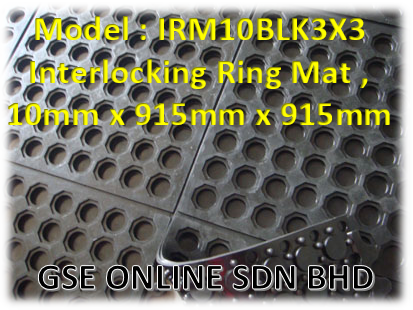 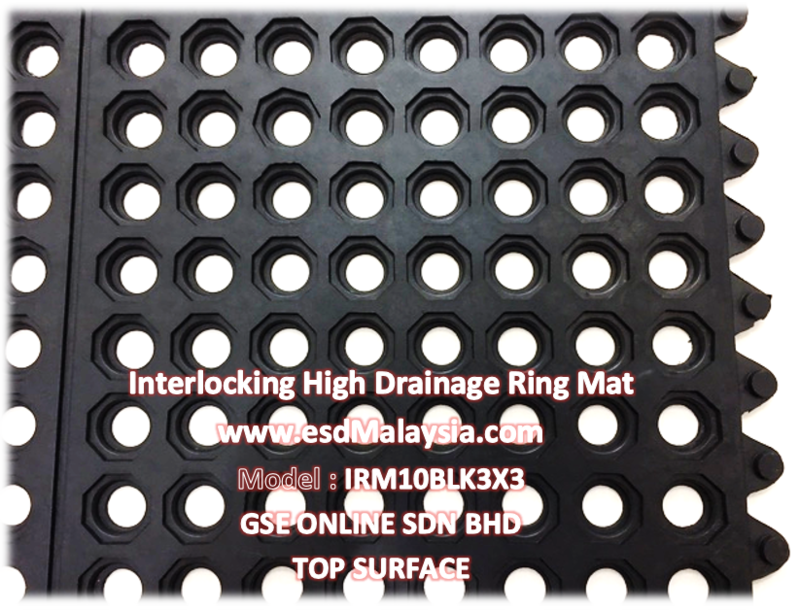 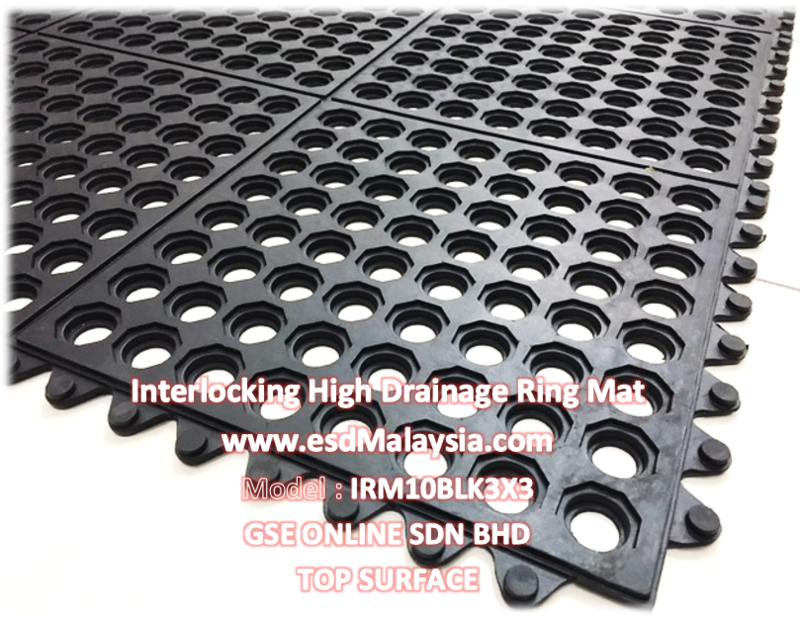 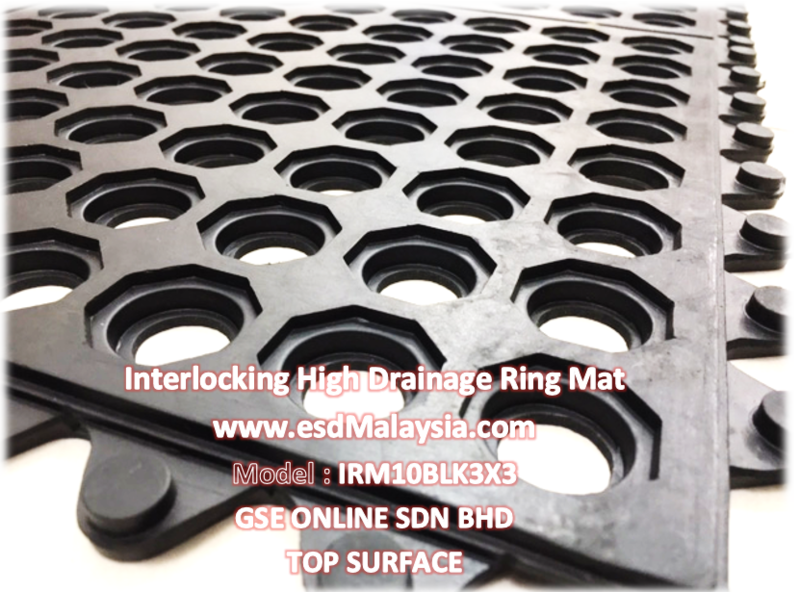 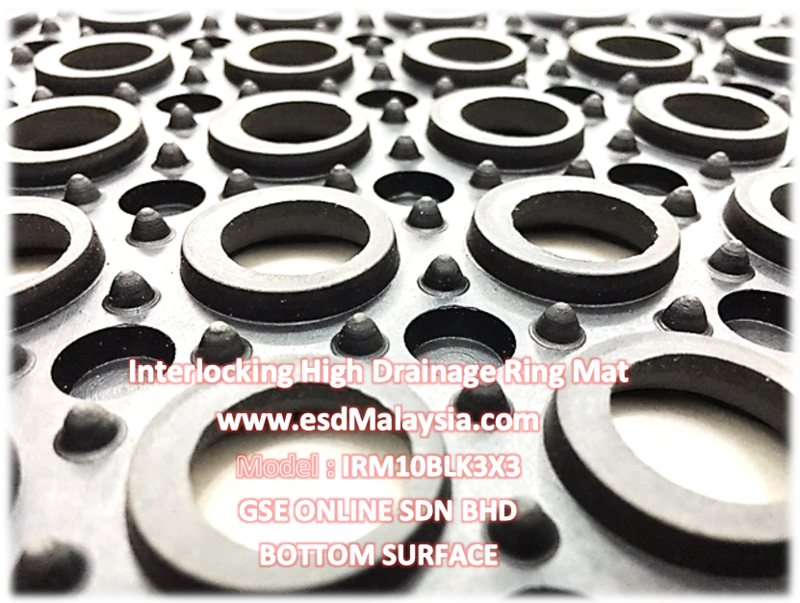 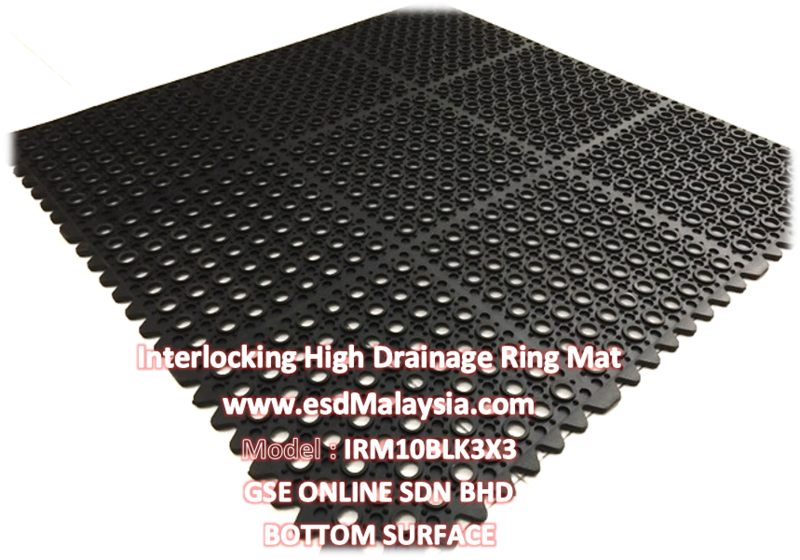 3) Interlocking Ring Mats are water, grease, and oil proof for use in both wet and dry environments.